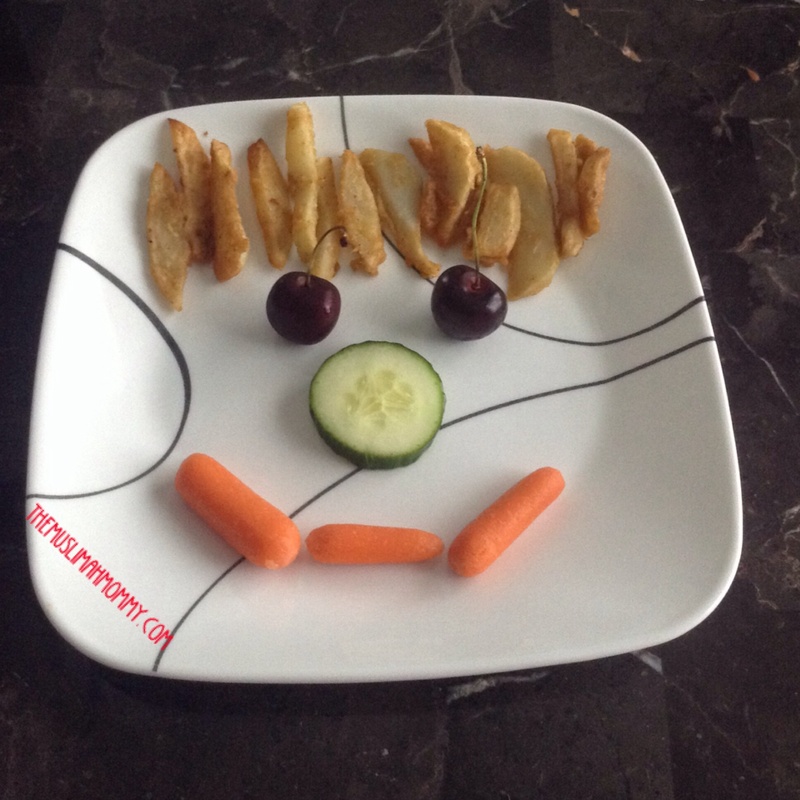 Iftar plate for kids; we’re calling him Mr. Pakora-Fry head because his hair is made of pakora fries ( fries with a twist ). Fruit, veggies, and fries – what’s not to love? Both kids and adults love these plates because they are fun to make together, and there are countless food items you can use to create your food plate character. These can be used year round, and are a great way to spend some quality time with your little one! I have to say, it’s moments like these that remind you that it only takes a very small gesture (such as making this food plate) to put a huge smile on your child’s face. It also reminded me that I’m a big kid at heart! 2. Add to the bowl of potatoes 3 tbsp of chana flour, 1 tsp of red chili powder, 1-2 tsp of salt, a splash of vinegar, and 1 tbsp of pakora masala. If you do not have pakora masala on hand you can use 1 tsp each of garam masala, cumin seeds,crushed coriander seeds, and Anardana powder. Add just enough water to create a paste (I added a quarter of a cup) and mix well making sure each potato wedge is well coated. Fry the wedges until they are slightly brown and enjoy!